The international panel of judges praised the winning project for its great execution and use of gamification for adult learning. 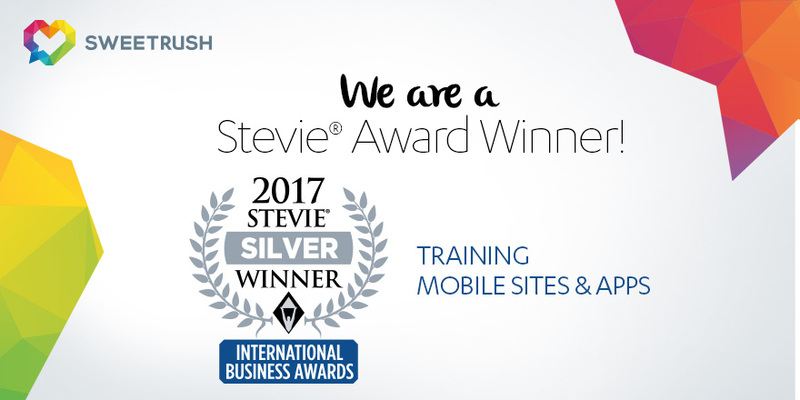 San Francisco, Calif., August 30, 2017 — SweetRush, along with its client Bridgestone Americas, was recently named the winner of a Silver Stevie® Award at the International Business Awards. The winning project is a mobile learning game submitted in the Mobile Site & App Education, Reference & Training category. A record 3,900 nominations from organizations of all sizes and in virtually every industry were submitted this year for consideration. The 2017 IBAs received entries from more than 60 nations and territories. The complete list of winners is available on the International Business Awards website. Stevie Awards are conferred in seven programs: the Asia-Pacific Stevie Awards, the German Stevie Awards, the American Business Awards, the International Business Awards, the Stevie Awards for Women in Business, the Stevie Awards for Great Employers, and the Stevie Awards for Sales & Customer Service. Stevie Awards competitions receive more than 10,000 nominations each year from organizations in more than 60 nations. Honoring organizations of all types and sizes and the people behind them, the Stevies recognize outstanding performances in the workplace worldwide. Learn more about the Stevie Awards.